Please watch our video made by BHS Peer Leaders concerning the lack of regulation around e-cigarettes. 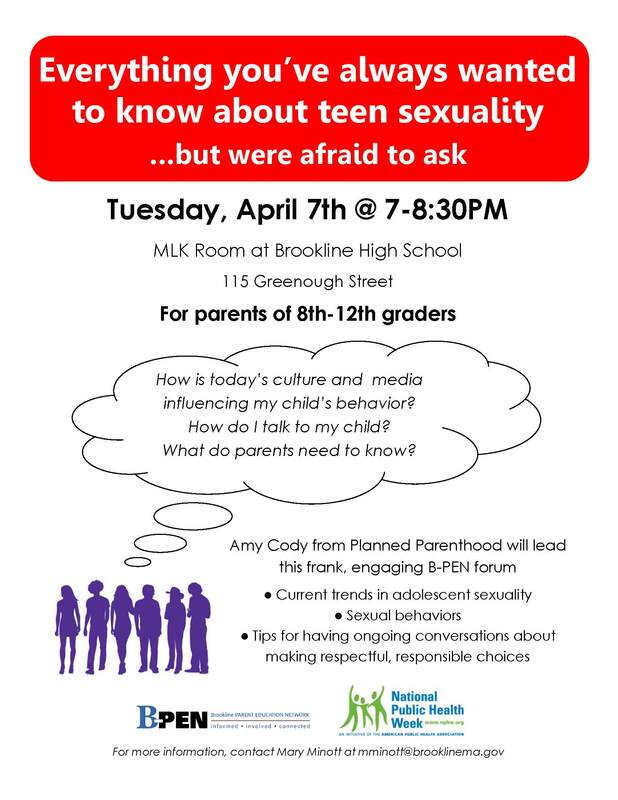 October, 2013 – On November 14, at 7 p.m., B-PEN (Brookline Parent Education Network) and the Brookline Police/PSB Health Education AWARE program invite 6th-8th grade parents to an evening with Patricia Snell, a Norfolk County Advocates internet safety, cyberbullying and bullying consultant. 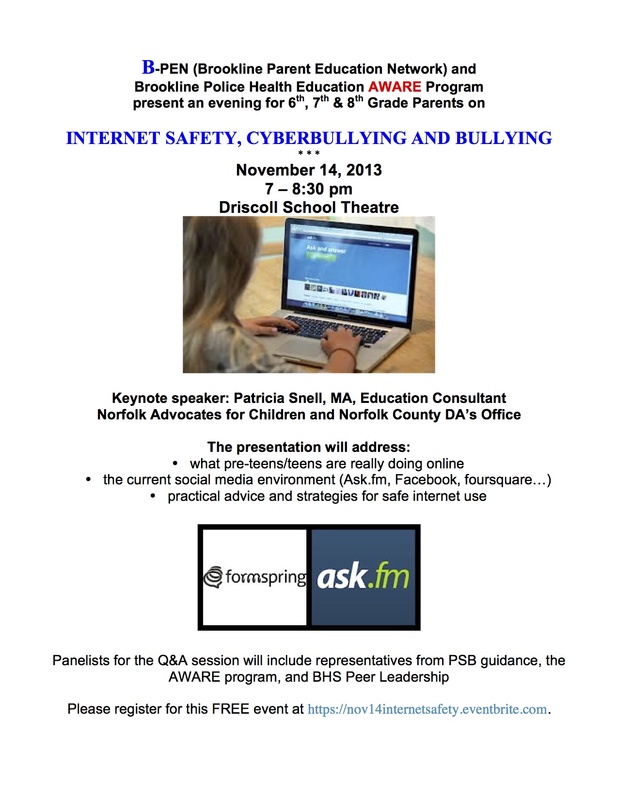 Register for this FREE town-wide presentation at https://nov14internetsafety.eventbrite.com.